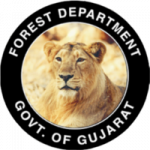 Gujarat Forest Department Recruitment 2018: The Gujarat Forest department has officially released the Gujarat Forest Department Forest Guard Recruitment 2018. In their official notification PDF, they have claimed that the boss is presently holding 334 open vacancies for the post Forest Guard. 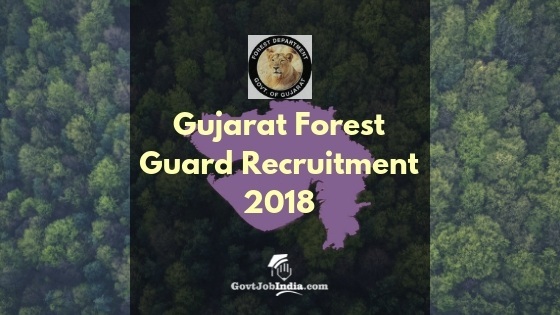 The Gujarat Forest Guard Recruitment aims to recruit capable candidates for the post of Forest Guard in the many Forest divisions of Gujarat State. Selected candidates will be placed in several regions within the Gujarat Government. This makes this a very good choice for all candidates looking for a govt job in Gujarat. We have provided all the details you need regarding the Gujarat Forest department recruitment application dates, Gujarat Forest Guard Salary and how to apply for this Forest Guard Recruitment in great detail below. So keep on reading for all the information you need to Arduino one of the most exciting govt recruitment to come out this year. Please note that if the category certificate provided do not support the caste mentioned then the age relaxation will not be applicable. Ensure that the documents to be submitted are all in the favour of the details to be provided in the application form. Kindly check the official pdf attached to the article for more details on age limit and age relaxation. Candidates would need a certificate from a recognized institute/organization regarding the basic knowledge of computers. Computer as a subject in the HSC mark sheet will also serve the purpose. The Gujarat Forest Department Recruitment 2018 selection procedure comprises of 2 stages as mentioned below. Please note that along with these 2 phases the candidate would also need basic knowledge of computer. Please read the official pdf for more details. Other all candidates apart from General Category pay nothing as an application fee. The application fee can be paid online by visiting the OJAS website while applying for recruitment. Also, the application fees can be paid by visiting any computerized post office. Please go through the official pdf attached to the article for more details on application fees. Minimum Pay Scale would be Rs.5200/- and the maximum would be Rs.20200/- along with Rs.1800/-grade pay. Please check the official pdf for more details on the Gujarat Forest Guard Salary. How to apply for Gujarat Forest Guard Recruitment 2018 Online? Please visit the official website @ ojas.gujarat.gov.in and click on “online application” then proceed to “Apply”. Once the aspirants go for exact forest department advertisement, there would be 2 options: Apply online and more details. If applicants wish to know details or need guidance on how they can go about filling the form, please select “more details” or simply proceed to “apply online” and fill in the application form. Please ensure that all the details such as personal details, contact details, language preference, and education details are filled dully. Once the details are filled, click on “I accept all the terms and regulations” and submit the form. Please save the form after the same is submitted. An application number will be generated, please save the number and upload the photograph plus signature after that. Pay the application fee and download application form. We hope all the information regarding the Gujarat Forest Guard Recruitment has convinced you to give this opportunity an attempt. Surely this is your chance to set up the foundations of a long and successful career in the Gujarat Govt. You can ask us any doubts you may have in the comment section below. We are always here to provide you with assistance.